The jewel hydrogel mask reacts to skin temperature, melting its moisturizing ingredients directly into skin for optimal absorption. 1. After washing the face, tidy up skin texture with toner. 2. 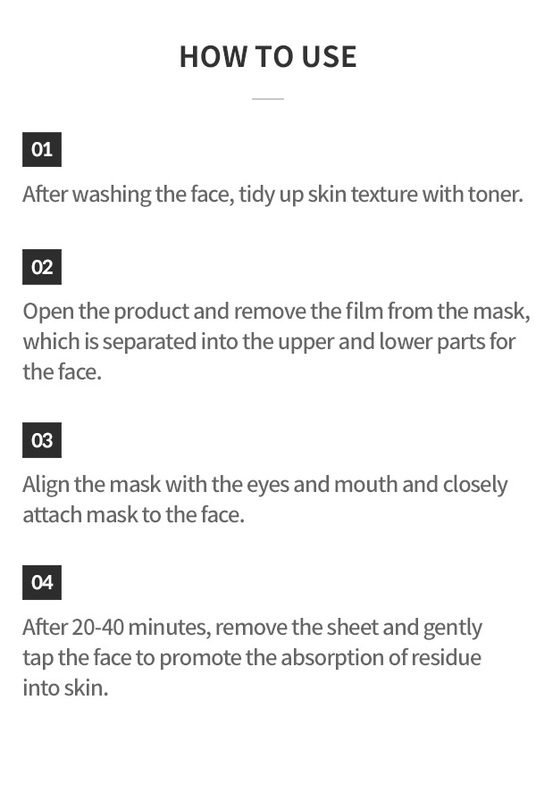 Open the product and remove the film from the mask, which is separated into the upper and lower parts for the face. 3. Align the mask with the eyes and mouth and closely attach mask to the face. 4. After 20-40 minutes, remove the sheet and gently tap the face to promote the absorption of residue into skin.